I am a complete novice with batteries, inverters and solar panels / regulators. I have purchased a 130Ah AGM deep cycle battery, a 500W pure sinewave inverter and 2 x 100W solar panels with built-in solar regulators to take camping. If I connect both the inverter and the solar panels to the battery's electrodes at the same time (to draw and replenish battery charge simultaneously), are there any precautions that I should take? For example, is it OK for both electrodes to be touching each other? 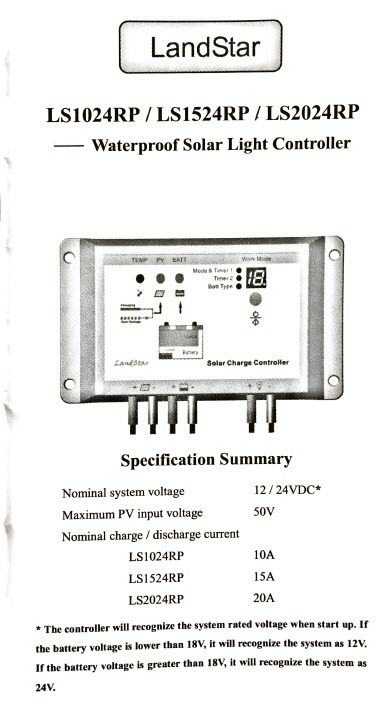 Is it OK to leave the solar panels connected to the battery after the battery is fully charged or is this one of the purposes of the solar regulator? Here is some more information about the regulator that makes mention of a temperature sensor. Does this appear to serve the purpose that you indicated it should? There is not a lot of detail in the links. In principle it should be OK to connect an inverter, battery and solar panel with charge controller all together. It would be good to get more info from the manufacturers if you can. Anyway, here are some things that could go wrong and that you should watch out for. Battery voltage. You want to make sure the charge controller does not over-charge the battery. If it is well designed, it won't. But this controller seems to come with very little information about how it works. One thing I will warn you about is that lead acid batteries do not like constant hot climates, and the charge voltage should be lowered when the battery is warm. Unfortunately, your charge controller doesn't seem to have a temperature sensor, nor any switch to allow you to set it manually to "warm." So keep an eye on the charge voltage. You can research online about temperature compensation for lead acid battery charging. Inverter input voltage. 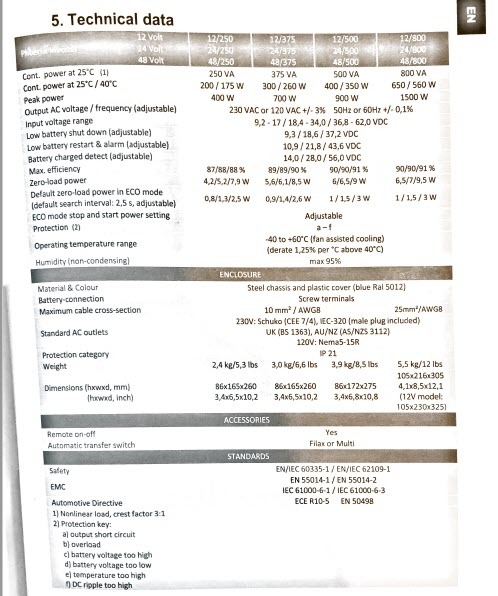 I couldn't find a maximum allowable input voltage listed for the inverter. 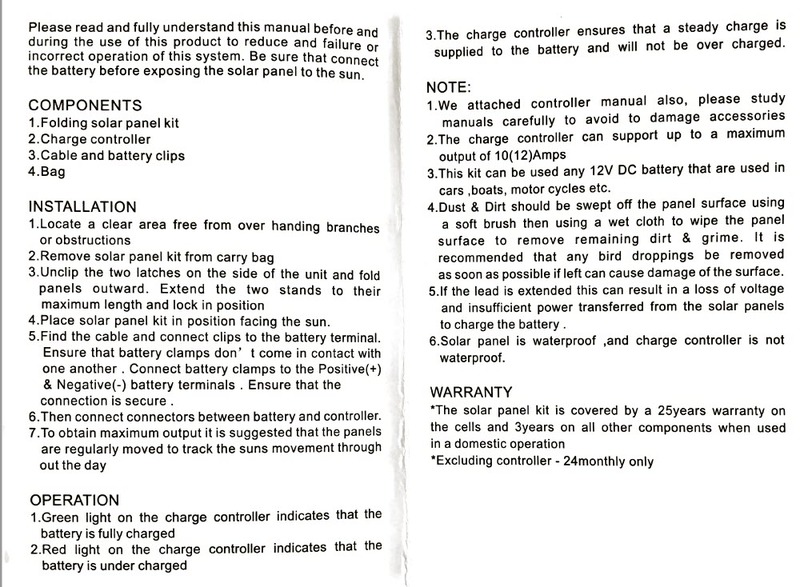 It would be a good idea to avoid connecting the charge controller to the inverter except when the battery is also connected. The reason is that maybe the controller may output excessively high voltage when the battery is not attached. It may not do that, but just to be safe, I would avoid that mode of connection. You can de-energize solar panels, if desired, by covering them with thick blankets or opaque tarps. Doing this while you connect them to the system might be a good idea. Hope you enjoy your off-grid experience. Not the answer you're looking for? 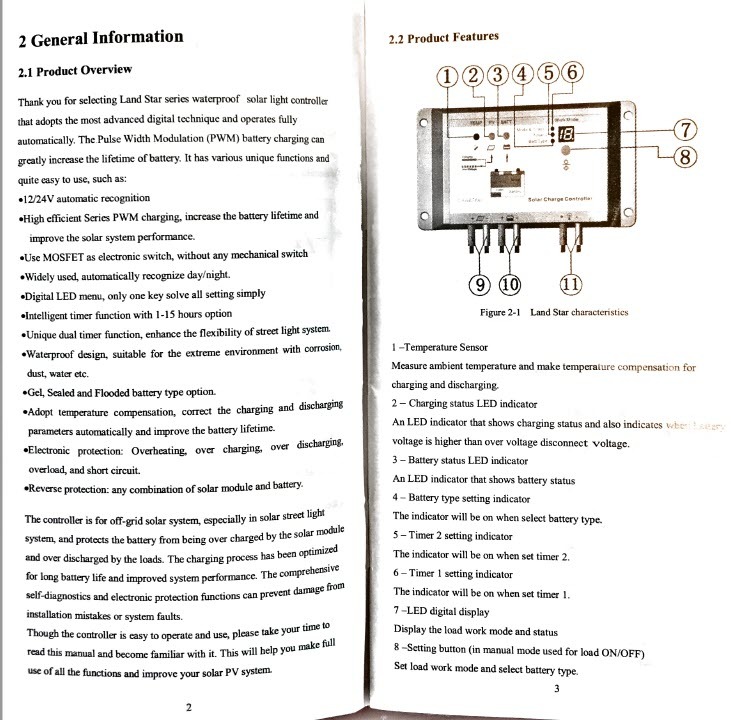 Browse other questions tagged batteries solar-cell inverter solar-charge-controller or ask your own question. 12 Volt from solar panel converted to 120VAC without battery. Best practice: Should I charge a battery while also pulling load?